Yes, we liked it so much we did it again! Last October I took my mom to see The Tempest with the lovely Make Friends with a Book people. I wrote about it here. 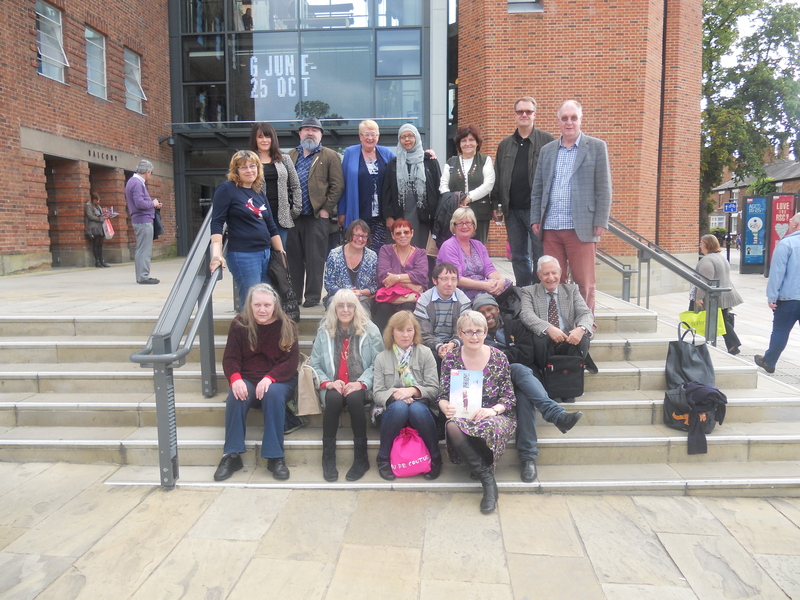 On September 21 a whole bunch of us took another trip from Sandwell to go and see All’s Well that Ends Well at the RSC. Some of us met on the train at Snow Hill Station. I timed my journey so that I could enjoy a bit of sightseeing and tea before the theatre. 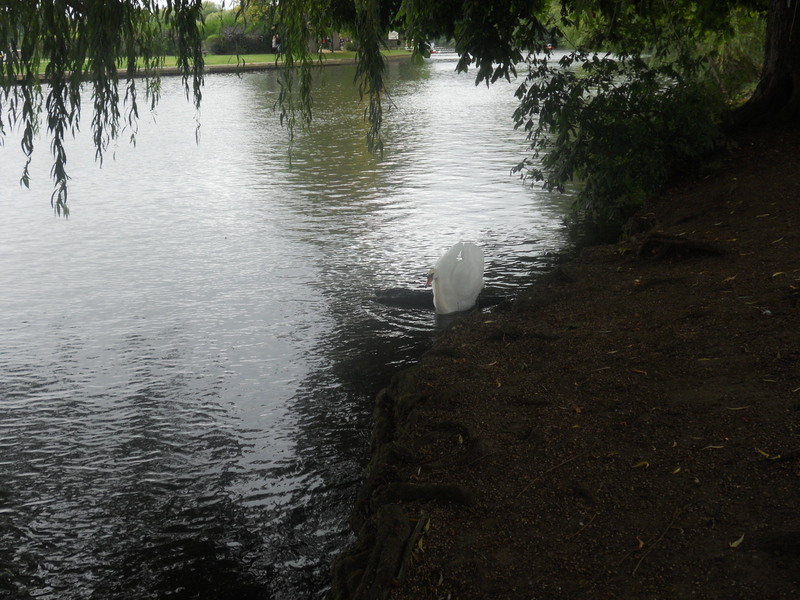 Mom loved Stratford, and had fond memories of a trip she took with her old friend when they were teenagers. I am so glad that I had the opportunity to make it one of her last days out. And as per her wishes I left a little bit of her there, on this visit, by the river in the shade of the theatre she loved so much. The people from the group that meet at Bleakhouse Library had been very important in her life for the last year of her life and I knew that they were looking after her while I was away on my travels. Who knew that a group that I helped to establish four years ago was going to have a significant impact at the end of her life? Not me. They were her final audience and gave her the opportunity to share her stories from the theatre once again. She got lots of curtain calls. And the play? Thoroughly enjoyed by all, amazing production, and the sun came out for Make Friends with a Book again. 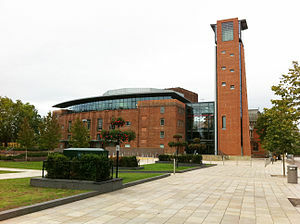 Our next theatre visit is closer to home, at the Birmingham Repertory Theatre to see A Christmas Carol. Guess what we will be reading in December? 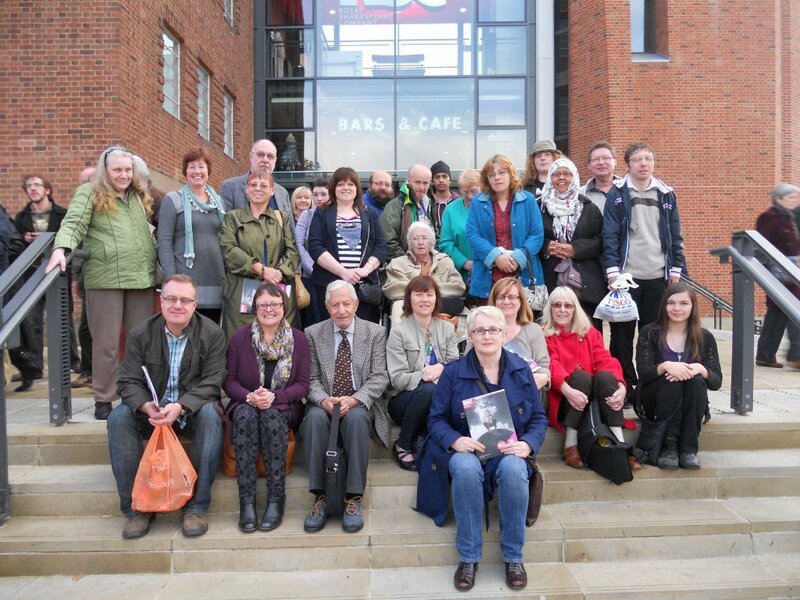 This entry was posted in Community, Health and Wellbeing, Shared Reading, Volunteering and tagged All's Well That Ends Well, Birmingham, Birmingham Repertory Theatre, Christmas Carol, Royal Shakespeare Company, Sandwell, Stratford, Stratford upon Avon, Tempest, Theatre by Travelling Coral. Bookmark the permalink.